An online illustrated article from Columbia University Medical Center. the National Maternal and Child Oral Health Resource Center. Each module includes a self-assessment quiz. Available online from the United States Access Board. Available online from the American Dental Association. to health professionals and links to web resources on pediatric oral health. Includes the ADA, FDA Guide to Patient Selection for Dental Radiographs. Patient information from the American Dental Association. An online article by Susan Rustvold. Includes online anxiety assessment tools. ASD Position Statement for "A Properly Fitted Mouthguard"
Position statement from the Academy for Sports Dentistry. Prevention recommendations from the American Heart Association. From the Washington State Department of Ecology. An online article by Howard F. Jenkinson, from the Journal of Dental Research, 2002. Information on studies from the Biologic Sterilizer Monitoring Service, Division of Oral and Maxillofacial Pathology. Illustrated lecture notes from the University of Illinois at Chicago, College of Dentistry. Information from the PulpDent commercial site. Available online from the Official California Legislative Information site. Guideline from the American Association of Endodontists, revised May 2004. Online article with color illustrations by Michel Goldberg and Anthony J. Smith. An online bibliography with abstracts from the Periodontics Information Center, UCLA. A collection of web resources from the National Library of Medicine's Medline Plus. An illustrated online article from the Journal of Dental Research, 2003. A guideline from the American Academy of Pediatric Dentistry. Detailed illustrated site from Yale University School of Medicine. A special website from the American Pain Society that includes guidelines and other clinical resources and links to related organizations. An illustrated resource by Dr. Steven Steinberg and Dr. Arnold D. Steinberg, University of Illinois at Chicago. Available online from the California Dental Association. From the American Dental Association. Information site from the Occupational Safety and Health Administration - OSHA. From the U.S. Food and Drug Administration. National Institutes of Health Consensus Development Conference Statement, March 26-28, 2001. From the Perinatology Network, Copyright © by Focus Information Technology. Includes a chart of the FDA Categories. A 40-page guide available online from the National Maternal and Child Oral Health Resource Center, Georgetown University, 2004. Illustrated information for patients and professionals. An online chart from the U.S. Food and Drug Administration. An online educational program from the National Coalition for Health Professional Education in Genetics. A 52-page guide, available online from the Centers for Medicare & Medicaid Services and State Children's Health Insurance Program. The complete guidelines, available online from MMWR: Recommendations and Reports, December 19, 2003.
and links to companion documents, including a Dental Growth and Development chart. 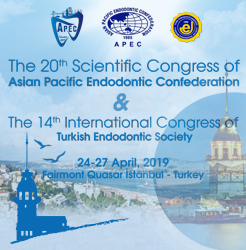 From the American Association of Endodontists. A collection of articles from the National Institute of Dental and Craniofacial Research. An illustrated article available online from Endodontic Practice, May 2000. An online article about the connection between oral microbiology and endocarditis from the National Institute of Dental and Craniofacial Research. Information from the Oral Health Resources website of the Centers for Disease Control and Prevention. Includes fact sheets, a glossary, and links to specific related guidelines. An extensive collection of resources from the Organization for Safety & Asepsis Procedures. Online Consensus Statement; National Institutes of Health Technology Assessment Conference Statement. Includes information on computers in the dental office and users of the Internet and World Wide Web; from Dr. Martin D. Levin, DDS. An online continuing education course from the American Dental Hygienists' Association. Appendix C of the Guidelines for Infection Control in Dental Health-Care Settings, from the Centers for Diseases Control and Prevention, 2003. An article available online from Applied and Environmental Microbiology, June 2003. 2003 June; 69(6): 3327–3332; from PubMed Central. Article and chart by Dr. Susan Kinder Haake, Periodontics Information Center, UCLA. A statement from the American Dental Association. Information on hazards in the dental workplace from the National Institute of Occupational Safety and Health - NIOSH. An illustrated site from the National Institute of Dental and Craniofacial Research. Research site from the University of Southern California School of Dentistry. Information on dental programs available through the Centers for Medicare & Medicaid Services and State Children's Health Insurance Program. A continuing education course from the American Dental Hygienists' Association Continuing Education Series. Credit requires payment of a fee. Parkinson's Disease, multiple sclerosis, dementia, spinal cord injury, and more. From the University of Florida. Illustrated with drawings and charts; from the University of Leeds, UK. Interactive site from the Nobel Prize website. From the American Dental Association, as adopted by the ADA House of Delegates October 1999 and amended October 2004. Information from the Materials Science and Engineering Library, National Institute of Standards and Technology. Detailed information on the OSHA regulations from the American Dental Association. Available from the Kodak Dental Systems website. Information from the American Dental Association. A guideline from the American Association of Endodontists. Overview from the National Institute of Dental and Craniofacial Research. A commercial site from Dr. Paul Kobernick that includes an online pain quiz. An online article from the Buffalo Ontology Site. Online video presentations from the American Society of Temporomandibular Joint Surgeons. Information from the University of Chicago on the formation and causative organisms of bacterial plaque. An online tutorial with illustrations by Thurman Gillespy III, MD and Michael Richardson, MD. An online slide presentation by Dr. A.K. Szakal, from the Virginia Commonwealth University. From the Forensic Dentistry Online website. Illustrated information from the American Dental Association. An extensive online brochure from the American Academy of Orofacial Pain. An online continuing education activity from HIVDent. An open access online continuing education course from the American Dental Hygienists' Association. An "online multimedia dental procedure manual" from Columbia University. From the Centers for Disease Control and Prevention, Division of Oral Health. A 52-page booklet available online from the National Institute on Aging.